Newly married couple, Lisa & Jai were in the USA for Jai’s official assignment there. As Jai was always busy with work, Lisa had kept herself busy for the last 4 months of their stay there by frequenting libraries on her own. Lisa never spent much money as she believed in saving! Jai teased her that she’s a Kanjoos (miser)! Lisa would buy all the items from the Indian Store there and prepare food at the apartment they had rented. There was this Indian Restaurant named ‘Taj Mahal’ that she used to often cross on her way to the Library. One day, Lisa just dropped in there to enquire about the prices. For the past couple of days, she had a craving for South Indian Food and thought she would get that night’s meal parceled. She abandoned all her plans as Lisa was SHOCKED to learn of the prices! A quick conversion of the value from Dollar to Rupee & Lisa decided- “No way am I gonna spend so much on Idli & Sambar!” Lisa went to the Indian Store to pick the ingredients having decided to prepare as per online help-resources! But, the store did not have ‘Hing’ (Asafoetida). Lisa loved Hing and was disappointed. Nevertheless, she got the other items that she needed. Lisa prepared the Idli Batter and decided to prepare Idlis for the weekend Breakfast the next day. Jai was working on his laptop when he heard Lisa…”What? 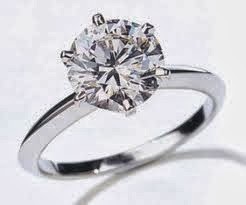 Lisa wants ‘Ring’?” Jai thought. She said ‘Hing’; He Heard ‘Ring’. Jai had bought the Ring not for Lisa but for Shuvika- his colleague and best-friend, whom he had wanted to marry. However, Jai had to settle for an arranged marriage with Lisa, bowing to parental pressure. But, Shuvika was also here in the USA and she had no problems getting the full-attention of Jai. In fact, it was she who had demanded that Jai gift a Diamond Ring for her birthday that was the next day! Lisa was now sleeping peacefully. No more sleep-talking… Lisa looked like an angel. Jai started thinking of the sweet girl who was now his wife. She was a great home-maker and cared for him and his finances. She made him feel like a King. She was a great listener… Lisa never made any demands. And look at him! He had blown up nearly 2 months salary to pick that solitaire imported Ring just to please the ‘other woman’. Did he just refer Shuvika like that? For the first time it struck Jai that Shuvika was ‘using’ him for her plans- shopping, dinners, long-drives, late-night outings… Jai remembered the countless number of times, Shuvika had sweet-talked him and made demands and he had obliged as he was in ‘love’! He may have been blinded by her love, but everything made sense now. Jai’s eyes were wide open! “Lisa deserves the Ring more. Only Lisa has full right on me, my time and my earnings as she is my wife!” Jai reasoned. “I’ll gift the Ring to Lisa the first thing in the morning!” he decided. Though his guilt made it tough to fall asleep, Jai snuggled up with Lisa and slept. 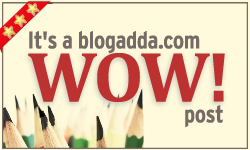 This post was chosen as a WOW Post for the Topic- 'Rhymed Confusion'! You can see the list of WOW Winners HERE. Thanks Amar for reading & for your comment. I must say, your entry is really in depth with so many facets! Thanks Libby for stopping by! Glad you like my story. Better late than never. He realized his folly. Yes, Kalpana. A great new beginning! It's actually 'HING'! Even spelled the same (name on the bottle) and is pronounced like RING/Wing/Sing/King...! It's good when one word does the trick! Like Magic! I must say Captivating story Anita! You should write short stories more often. It's wonderful when things fall in place!